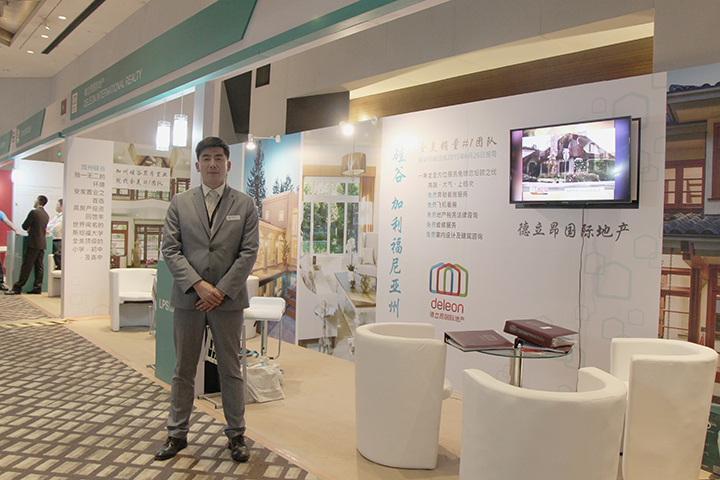 For three years, I had designed a real estate company's booth for the prestigious LPS Expo in China. This is a very large, international event for luxury properties. The design of the booth had the goal of capturing the high-end prospective buyer's attention and showcasing the client's inventory. In addition, the client wanted to sell the benefits of the location of the inventory. To help the client appreciate the design in context, I used SketchUp to mockup a 3D representation of the booth. This way the client can easily visualize walking through the booth. Since the event was in China, we could not preview the booth until after it was fabricated. So this 3D rendering was very valuable to have for preparing for the event. Front-facing wall on lower level. Back wall on the upper level.